In 2014, Myanmar Youth Stars, a network representing young key affected populations (YKP) living in Myanmar, has participated in JumpStart project. JumpStart is APCOM’s flagship capacity strengthening programme for community organisations. Formerly initiated under a partnership with Australian Federation of AIDS Organisations (AFAO), JumpStart aims to improve, and build on an organisation’s existing management and advocacy, while encouraging leadership for a community-led HIV response. The project serves as well as a catalyst for the organisation to explore their core competencies that they can build on and, at the same time, explore skill development areas that they still need. Myanmar Youth Stars has more than 700 members in 14 regions of Myanmar. It aims to build the capacity of YKP through leadership training, English classes, communication training, and internet workshops. 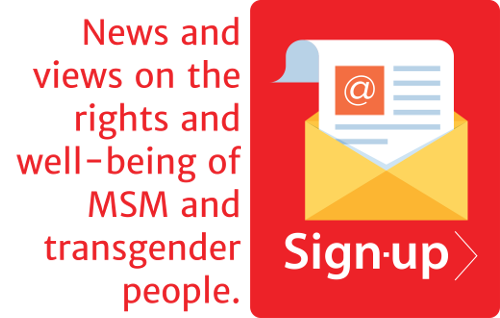 It distributes information on HIV prevention, treatment, care and support with the main objective of contributing to a decrease in HIV prevalence among their target audience. 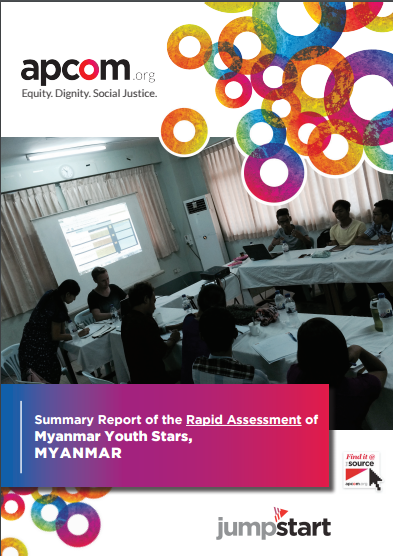 “A Capacity Assessment of Myanmar Youth Stars” report provides the findings of Myanmar Youth Star’s assessment in 17 key organisational and programmatic areas appraised through Jumpstart.